When selecting a mortgage that best suits your needs you will need to decide whether to go variable or fixed, and open or closed. With so many options it can become confusing real fast. So what does this all mean? This article is aimed at giving you a clear of all the elements so that you can make the right choices when selecting your mortgage. Most Canadians are not sure or don’t know exactly which type of mortgage they are selecting, they see a rate and jump right in. As a general overview, variable and fixed mortgages refer to the way interest is calculated and applied, while open and closed mortgages refer to the flexibility you have in paying off the mortgage. A variable rate mortgage is one where the interest rate can fluctuate over the course of your term. The variable rate is directly related to the Bank of Canada prime rate, which is currently 3.00%. This means that if the prime rate goes up or down, so will your mortgage payments. Most lenders typically have a “prime minus” discount associated with their variable rate mortgages. So if you see prime minus 0.5% you can expect a variable rate mortgage at the prime rate minus 0.5%, in this case 2.5% would be your rate. If the Bank of Canada increased the prime rate 1% then your payment would be based on 3.5% and so on. Historically speaking, choosing a variable rate mortgage saves you more money than choosing a fixed rate mortgage, but keep in mind that your payments are not set and may fluctuate if the prime rate changes over the course of your term. A fixed rate mortgage is one that is not tied to the prime rate but instead Canada bond yields; neither does it fluctuate over the course of your term. The payments are fixed in regards to how much principal and interest you will paying each payment throughout your term. Fixed rate mortgages are almost always higher than variable rate mortgages but they offer the security that you can “set it and forget it” regardless of whether rates rise or fall. A closed mortgage is one that you cannot pay out early without a penalty. This means a penalty will apply if you try to close the mortgage before your term is up. If you sell your house, want to refinance, or you won the lottery and want to pay off the house, a penalty will apply. Typically this penalty is either 3 months of interest or the Interest Rate Differential, whichever is HIGHER. The penalty can be quite large, depending on your mortgage balance, make sure you have your broker/bank explain the details. Most lenders however still allow you to pre-pay up to 20% of your original mortgage balance per year, so there is some flexibility there. 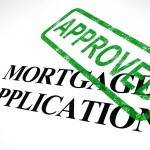 An open mortgage is one which can be prepaid at any time without penalty. Sure it sounds attractive, but as always there is a catch, a higher interest rate. Still though, you can buy a house and sell it a few months down the road and not have to pay any penalties, a great perk for flippers. As with all mortgages, there is a small fee for discharging the mortgage when you pay it out or transfer to another lender, but it’s nothing like the closed mortgage penalty. Take the time to consider what mortgage type best suits your needs based on factors like job security, payment options, current and future rates, and other various options. Research these different mortgage products to see what rates are being offered and decide from there what is best for your lifestyle.